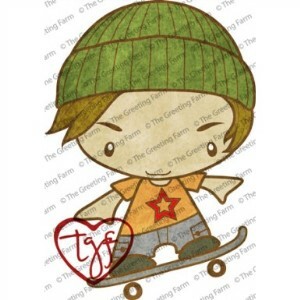 This cutie is called Skater Ian and is from the Anya & Ian Collection from The Greeting Farm. Made from deep etched red rubber. Pre-mounted on cling cushion, ready to be trimmed and slapped on acrylic blocks. Stamp measures about 3"x 4".